Sign up for their newsletter to make sure you don't miss any deals. ​You can also earn reward points on purchases. Now through Friday, July 21 Notion Sale! Pins, needles, markers, rulers, quilting gloves, tape, machine gloves, D rings, snaps, swivel hooks, glue, Wonder Clips, Aurifil threads, seam rippers, ...All sewing notions and bag supplies* are up for grabs. 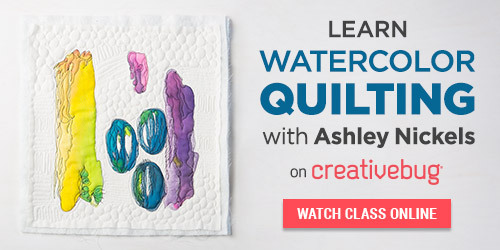 Get 50% off select Craftsy classes. Limit one per customer. Cannot be combined with any other coupons. Expires August 13, 2017. Eligible classes include: Startup Library: Knitting, Startup Library: Quilting.